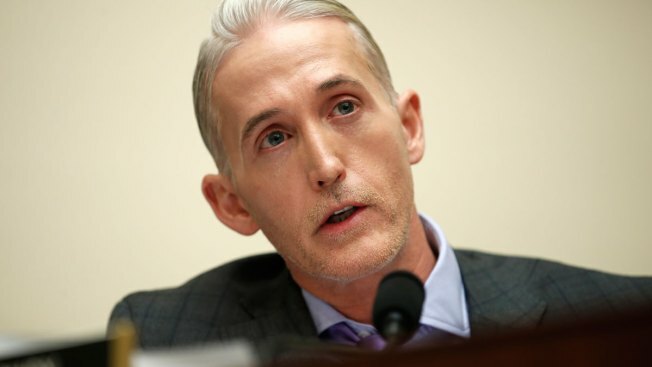 In this Dec. 7, 2017 file photo, House Judiciary Committee member Rep. Trey Gowdy, R-S.C., speaks during a House Judiciary hearing on Capitol Hill in Washington. Two members of Congress, a cabinet official, a presidential confidant and a frequent guest on Fox News are among those being considered by President Donald Trump to be the next attorney general, multiple sources tell NBC News. One of those, former New Jersey Governor Chris Christie, was a close adviser to the president in his 2016 presidential campaign. He has been largely sidelined by the administration since then but resurfaced at the White House on Thursday for what White House officials said was for a previously scheduled meeting on prison reform. Rep. John Ratcliffe, R-Texas, and retiring Rep. Trey Gowdy of South Carolina, have also joined the list of those in the running, the sources say.